Consumer Reports recently released its annual list of vehicle most likely to still be on the road at 200,000 miles, and the Ford F-150 was the only pickup truck included. Durability is a hugely important factor for car buyers, who are looking for more than a car that can take them from place to place; they’re looking for a solid investment. When considering which car to buy, this Consumer Reports survey offers helpful insights. Judges examined used vehicles at higher mileage ranges, and the cars that made it to 200,000 miles or more without significant repairs made the list. 200,000 miles is an average of 16.67 years, or 16 years and eight months, at an average of 12,000 miles per year. The Consumer Reports 200,000-mile survey looked at cars from the early and mid-2000s. 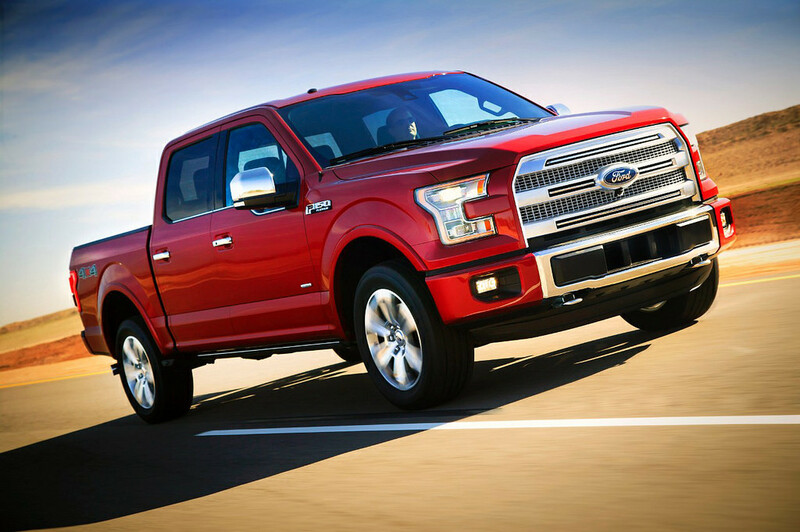 The Ford F-150 has just gotten stronger and more durable with each model year. Other trucks may make it to 200,000 miles, but they require a lot more maintenance work than the F-150. Consumer Reports writer Jeff S. Bartlet pointed out that “any car can make it to 200,000 miles if you’re willing to put enough money into it,” but that it makes more sense to buy a vehicle that lasts a long time on its own, with standard maintenance and minimal repairs needed. For more information about the durable and reliable 2018 Ford F-150, America’s best-selling vehicle, visit us at Sanderson Ford. The Ford F-150 has long been considered one of the best options on the market. Its competitors might come close to its capability, but the Ford F-150 still dominates when it comes to top-of-the-line power and functionality. For 2018, the F-150 adds a new engine to its powertrain options: a Power Stroke Turbo-Diesel. The Ford F-150 Turbo-Diesel engine will reportedly grant drivers best-in-class performance and power specs, in addition to offering excellent fuel economy. With 11,400 pounds maximum towing capacity and 2,020 pounds maximum payload, the F-150 Turbo-Diesel engine offers drivers plenty of stunning force without sacrificing fuel economy. The Power Stroke Turbo-Diesel also utilizes a mechanical fan and dual radiator shutters to optimize performance. Stop by Sanderson Ford to test drive the 2018 Ford F-150 for yourself. We’re sure you’ll fall in love with this acclaimed pickup truck model that promises to simplify your life with its impressive potency. The 2018 F-150 Diesel is causing quite a stir in the auto industry, offering a Power Stroke V6 Diesel engine that works to optimize power while using less gas. Although the 2018 F-150 has several updates, this new diesel engine option is perhaps the most significant. According to Car and Driver, the diesel engine is turbocharged and mated to a 10-speed automatic transmission, to yield optimum performance. You may be wondering, “Why should I buy a diesel engine?” While old diesel engines produced dark black smoke and guzzled fuel, modern engines are quieter and typically require less maintenance and fuel. Previously, diesel engines were only offered in Europe, but we’re seeing some changes in the industry. Diesel engines have low-end power because they don’t need to be revved for better acceleration. They also have better towing due to increased torque. Because they don’t need spark plugs or other components, many people see them as more reliable than traditional gasoline engines. Thinking about buying a diesel? Stop by Sanderson Ford to learn more about the 2018 Ford F-150. You can test the truck in person, and our expert staff will tell you more about the array of features on the F-150. Arizona is full of unpaved roads just waiting to be explored in a capable, off-road vehicle. And what vehicle is better equipped than the new 2017 Ford F-150 Raptor? This beast of a truck is built specifically to handle any terrain that comes its way. 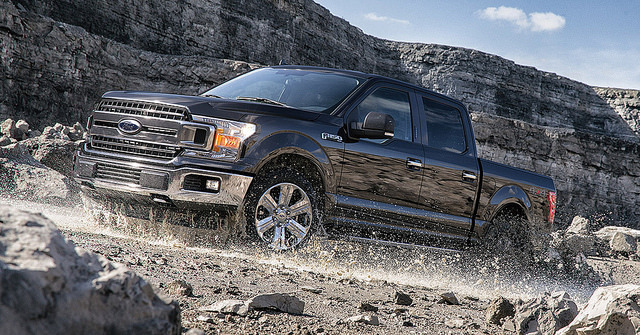 Give your F-150 Raptor a true performance test by visiting one of these off-road sites. Why not start with a difficult trail? The 2017 F-150 Raptor can handle it. At Desoto Mine, you’ll traverse some of the most remote backcountry in Arizona, with plenty of steep grades, twisting paths, and creek beds to challenge you. You’ll find this 12-mile trail about two hours north of Sanderson Ford, near Prescott National Forest. You will love taking on this moderate, rocky, washed-out terrain in your 2017 Ford F-150 Raptor. The New River Canyon trail passes through parts of Sonoran Desert and Tonto National Forest, and is located just 45 minutes north of Glendale. If you’re planning to off-road near Glendale for the first time, this easy trail is perfect for you. The setting isn’t too remote, so help is nearby if needed, but you’ll still get to experience some steep, sandy, and rocky terrains at Belmont Mountain. While you’re there, you can even take a break at Vulture Mine, a ghost town with a preserved gold mine for a glimpse into the Arizona days that existed long before off-roading. At the recent San Antonio Truck Show, Green Car Journal announced the winner of the Green Truck of the Year Award – and the 2016 Ford F-150 surpassed the competition. Despite several other contenders for the award featuring eco-friendly diesel engine options, the Ford F-150 took home the title due to the pickup’s lightweight structure, EcoBoost engine option, and environmentally friendly upgrade packages. The 2016 F-150 and its 2015 iteration both boasted a lightweight but high-strength body engineered and constructed from a combination of steel and aluminum. Paired with the EcoBoost V6 engine and the only available fuel prep package in the segment, the F-150 excels in providing customers with greener options that deliver power, performance, and capability without compromising the environment. 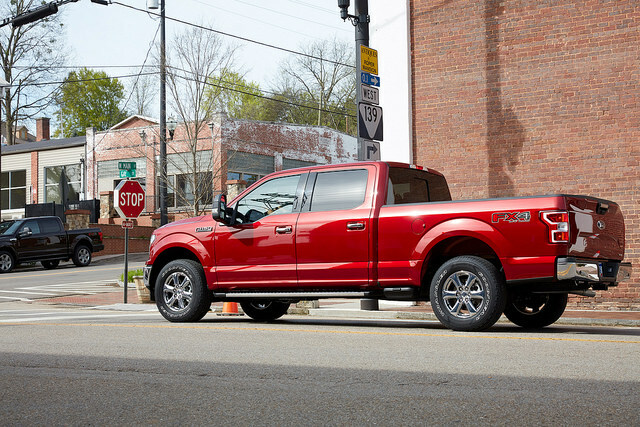 With an EPA estimate of 26 mpg highway, the 2016 Ford F-150 is the most efficient full-size pickup. In addition, the truck itself was created from sustainable materials and Repreve fiber synthesized from recycled plastic bottles. The thought that went into the environmental responsibility of the F-150 is what cemented the truck as Green Truck of the Year. Recently, Ford debuted a new web series in partnership with Azteca America entitled “Fuerza Ford,” that will feature Mexican boxing stars Giselle Leal, Edgar Juárez Calzada, and Michel de la Vega Esparza Oteo. The Ford web series will also star the newest Ford F-150. So what do these boxers and the best truck around have in common? They all have strength – or fuerza. The 10-episodes of the Spanish webisode series, which can be found on the Fuerza Ford Twitter and Facebook pages, will focus on boxing tips as well as highlights of the newest F-150, which includes its improved hauling and towing capabilities. “Ford is a leader in content marketing for U.S. Latinos, which is why we’re so honored to work together on the ‘Fuerza Ford’ boxing video campaign,” said Court Stroud, executive vice president, network sales and digital, Azteca America. Ford has been the official automotive sponsor for Box Azteca since 2010. Want to see the toughest, sturdiest, and most fuel-efficient truck around? Come visit us at Sanderson Ford to test-drive our newest fuerza F-150 trucks, today! Carbon fiber has been a major material in the automotive industry for years, particularly in the building of racing cars and supercars. Unfortunately, it’s rarely used in everyday production vehicles, usually limited to fake accents that only give the illusion of being carbon fiber. The ultimate goal is fairly obvious: to reduce vehicle weight. Weight reduction is one of the most tried-and-true methods of making a car better at just about everything, including fuel economy, acceleration, handling—you name it. 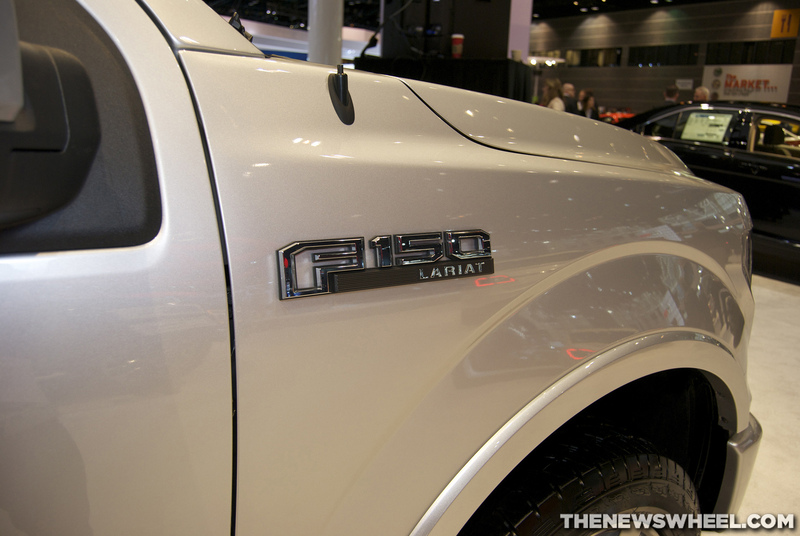 The same kind of reasoning behind Ford’s efforts to make the 2015 F-150 all in aluminum. The bonus of using carbon fiber is that the car won’t lose any strength, either (aluminum doesn’t either, but carbon fiber provides an even better weight-to-strength ratio). No word yet as to when we might expect carbon fiber production cars at Sanderson Ford, but we’ll keep you updated! Ford trucks can now add a little more hardware to their trophy case! In the recent 2015 Kelley Blue Book Brand Image Awards, Ford claimed Best Overall Truck Brand. The all-new F-Series has captured the hearts of people everywhere, as evidenced by the long list of accolades it has already won this year. The 2015 Kelley Blue Book Brand Image awards are based on customer surveys, so the award indicates that both the critics and the fans are in agreement on this vehicle. A full list of Ford truck awards can be viewed here. If you want to see what makes Ford trucks so special and award-worthy for yourself, come visit us at Sanderson Ford! 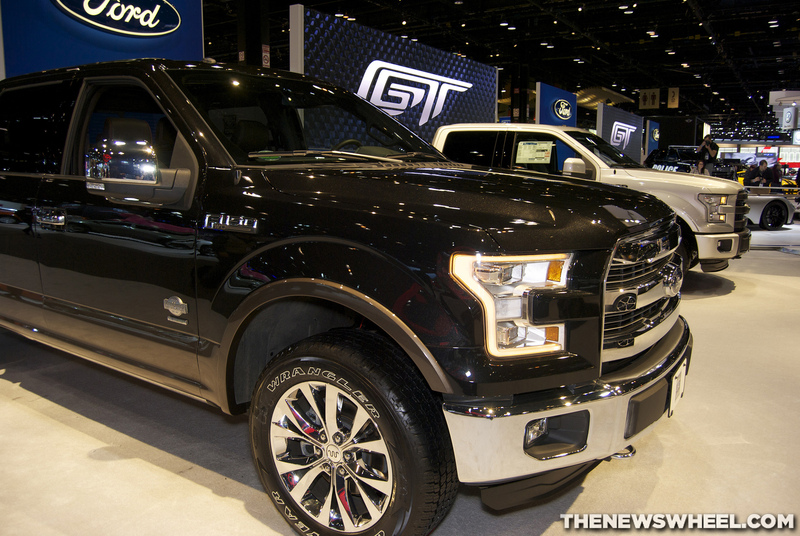 If you thought that the new 2015 Ford F-150 couldn’t get any better, how about the fact that Ford has added 1550 new jobs to its force because of the popular pickup? A complex aluminum build containing new features and technologies creates a high demand for Ford’s newest F-150 truck. With January sales up 17% from where they were last year, “It is important to get as many of the new vehicles on the road as possible,” said Michael Robinet, managing director of IHS Automotive Consulting. Come visit Sanderson Ford today, and custom order your new 2015 Ford F-150 – it will be here before you know it. After secretly testing new F-150 prototypes, Barrick Gold USA surprisingly ordered 35 all-new models. Ford initially gave the mining company the prototypes so they could torture test the trucks on the inhospitable terrain; however, after trying them out, Barrick liked the F-150s so much they ordered an entire fleet. Frankly, if this doesn’t tell you how rugged and dependable the new F-150 is, we don’t know how else to prove it to you. 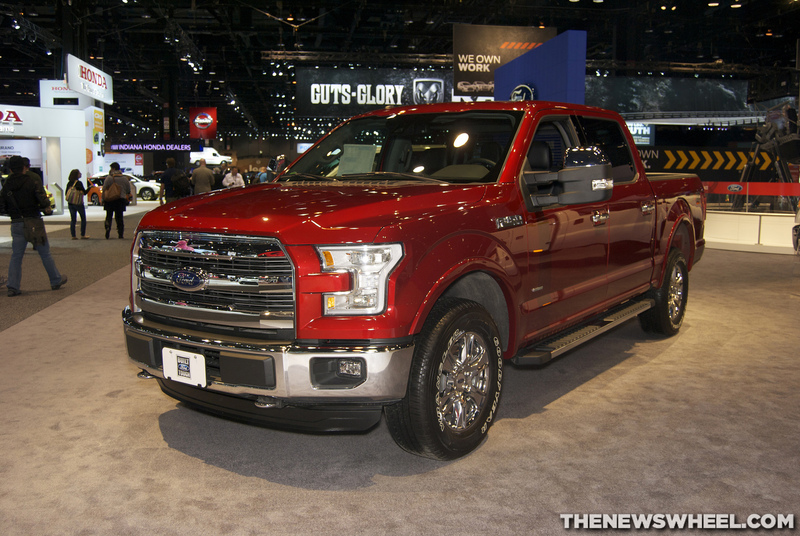 According to Ford, Barrick ordered the all-new F-150 SuperCab 4×4 models, which feature a 5.0-liter V8. 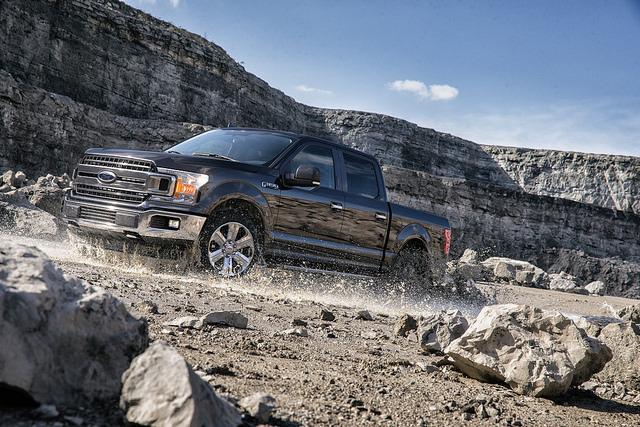 In addition to incredible power, the Ford F-150 durability is what most impressed the miners. Caudill went on to say that their trucks see over 35,000 miles per year, most of which is in incredibly harsh terrain. By pushing through these tough conditions, this is just one more way the F-150 has proven it’s incredibly dependable.